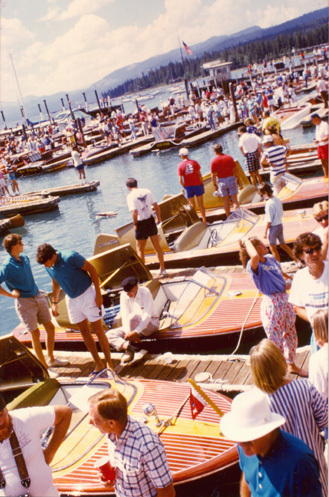 Antique and classic wooden boat shows are becoming more popular every year, all across the United States. Many of these shows are hosted by local chapters of the Antique & Classic Boat Society (ACBS), though some are put on by specialty clubs dedicated to a particular builder. Entry fees are normally low and may include a dinner or reception. Some shows include classic car displays, art and toy boats. Most shows award trophies and plaques for the best entries in various categories, such as Best Pre-War Utility, Best Post-War Utility, Best Pre-War Runabout, Judges Choice, People's Choice, etc. Generally speaking, all wooden boats are welcome, in various states of restoration. Please mail your classic boat show listings for this year to the address below. If you like, send your best photo from a boat show you attended, for publication on this site. Photos will not be returned.